Palo has a high performance and enthusiastic team of business analysts, data engineers,software engineers,developers and researchers. Any product or service is only as good as the people behind it. We tackle complex business issues and engineer simplicity. Our team consists of amazing people, working collaboratively to provide a dependable and exemplary service to our customers. Panayiotis co-founded Palo in 2008. Previously, he had worked for over 25 years in top management positions in various national and international technology/services companies. He holds an MSc. in IT from Glasgow University and a BSc in Physics from the University of Patras. He is passionate about technology and the fields of Big Data and machine learning and has established Palo as the lead innovator in Greece in Content Aggregation, Clustering of news, NER, Sentiment Analysis, as well as Aspect Mining. Pavlos holds an M.Sc. in Information and Data Management from the Department of Informatics and Telecommunications of the University Athens. He has extensive experience in designing and leading the implementation of secure, large-scale, distributed systems in various domains in both public (European institutions, government projects) and private sector (Greek, European and US-based companies and freelancing). Marina holds a MSc in Operational Research & Management Science and a BSc in Marketing Management. Marina has worked in the analytics and the market research industry for the last 10 years. For the last 4 years she has been specialised in research methodologies and solutions on Media and Digital Media and on the Social Media Analysis and Insights. Agis graduated from the School of Electrical Engineering of National Technical University Athens, holds a MSc with distinction in Informatics (AI specialism) from The University of Edinburgh and currently is a PhD candidate in Deep Learning at DUTH. He has been working since 1996 in software houses, universities, research institutes, media monitoring services. Kelly has a ten-year work experience at the press and media industry. She has worked as a journalist and a Social Media Manager at major Greek media outlets and she has contributed to national-level digital projects as a Web Communications Expert. Her postgraduate studies in “Digital Media and Interactive Environments” at the Faculty of Communication and Mass Media of the University of Athens was the starting point of moving from print to digital, where content production, social media management and data analysis, which are the triptych of her interests, are increasingly converging. Aggeliki is an experienced Digital Advertising Professional. 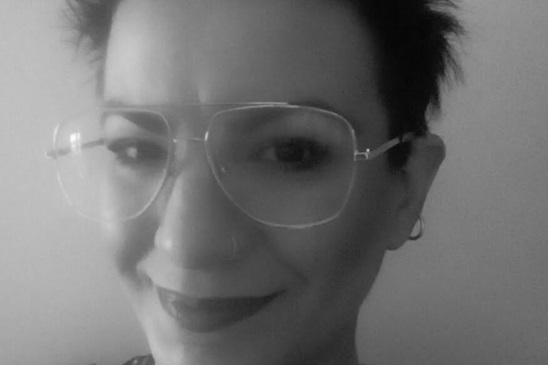 She holds a degree in Statistic Science from University of Piraeus and has maintained her love for Data throughout her professional career.Very determined and results oriented, Aggeliki has managed to succeed in having strong and long term relations with both Agencies and Advertisers. Mariniki holds a bachelor’s degree in Communication and Mass Media from the National University of Athens. She has worked at the Corporate Communication and Public Relations Office of the Hellenic Broadcasting Corporation (ERT). She is interested in data journalism, blogging, new technologies and she is planning to take a master’s degree in Digital Marketing Innovation. Yiannis graduated from the Athens University of Economics & Business, Department of Management Science and Technology. He likes to constantly develop his skills, learn new technologies and engage himself with big data systems. Nefeli has a bachelor’s degree in Informatics and Telematics from Harokopio University of Athens. She is an enthusiast of technology and innovation, a keen learner and adopter of new digital trends. George X. Protopapas is analyst of economic, political, diplomatic and international affairs and also works as a freelance journalist for online media. Thomas is a Dipl. engineer in Electrical & Computer Engineering from the University of Patras, Greece. More than 8 years of international experience in areas of Digital Marketing Technology, Web Project Management, Technical Account Management and Sales Engineering. Fields of interest are data analysis, web innovation and growth hacking. Υiannis has a bachelor’s degree in Communication and Mass Media from the National University of Athens. He enjoys working as a media data analyst as well as a journalist and he is planning to follow postgraduate studies in Data Journalism. He is a fast learner, technology enthusiast and video games “addict”. George has more than 15 years of experience working as an IT Enterprise Administrator. He has developed technical solutions for several clients across the globe. Anna has worked in the media industry for more than 10 years and she has also been a partner of the Athens News Agency in Turkey. Marko has more than 10 years of experience working in the field of Sales and Business Development for companies in the auto industry, finance, marketing and online media sectors. Nicholas is an experienced financial professional. He has worked as financial controller and auditor for companies in different business sectors, for over 20 years. He holds a Master’s degree in International Accounting and Financial Management from the University of Glasgow and a BA in Accounting and Financial Management from the Athens University of Economics and Business. Mihaela has a long experience in Account and Project management, working with some of the top Media groups and Brands since 2001. Nikos is a combating journalist and an acknowledged expert in the field of international relations in the region of Balkans since 1994. Vasilis Vassalos is currently an Associate Professor at the Department of Informatics of the Athens University of Economics and Business. Prior to that, he was an Assistant Professor at the Department of Information Systems in the Stern School of Business of New York University (1999-2003), and at AUEB (2003-2009). He graduated from Stanford University with a Ph.D. in Computer Science in 2000 (Advisor: Jeff Ullman). He has published more than 45 research papers in international peer-reviewed journals and conferences in the areas of databases and the Web. Iraklis is an Assistant Professor in Data Management at the Department of Informatics and Telematics of Harokopio University of Athens. He holds a PhD in Computer Science from Athens University of Economics and Business. His research field of data management and mining is strongly connected to the needs of palo. He provides palo with valuable consultations concerning web document clustering, the use of semantics in web link analysis and web usage mining and personalization. More information can be found at http://www.dit.hua.gr/~varlamis. Damianos is currently an Associate Professor at Athens University of Economics and Business (AUEB) in the Department of Management Science and Technology and Director of AUEB’s Masters program in Business Analytics and Big Data. Besides that, Damianos has been involved in several technology start-up companies including Panakea Software Inc. (founder, 1998), based in New York City, developed and marketed BI technology to make certain analytics (ad-hoc OLAP) and Aster Data Systems, a pioneer in big data. 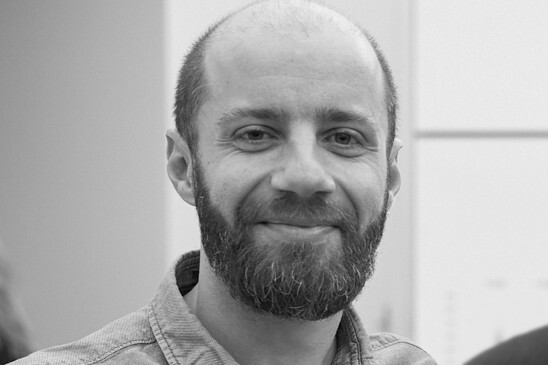 Vasilis holds a PhD in Science and Computer Technology, an MSc in Computer Science and a Diploma in Computer Engineering & Informatics. He has more than 35 publications in International Journals, Conferences and Encyclopedias and he obtained 2 times the best paper award. He obtained his PhD by creating an innovative platform for multi-lingual worldwide article collection including data mining, data analysis, text extraction, text categorization, text summarization and web personalization in the University of Patras. John has more than 12 years of experience in strategic planning, branding, public and government relations in Greece and Cyprus. He holds a BSc in Business Information Systems from UCLAN, a Post Graduate Diploma in Business Administration from Kingston University and a Diploma of Higher Education in Computer Sciences from Portsmouth University.